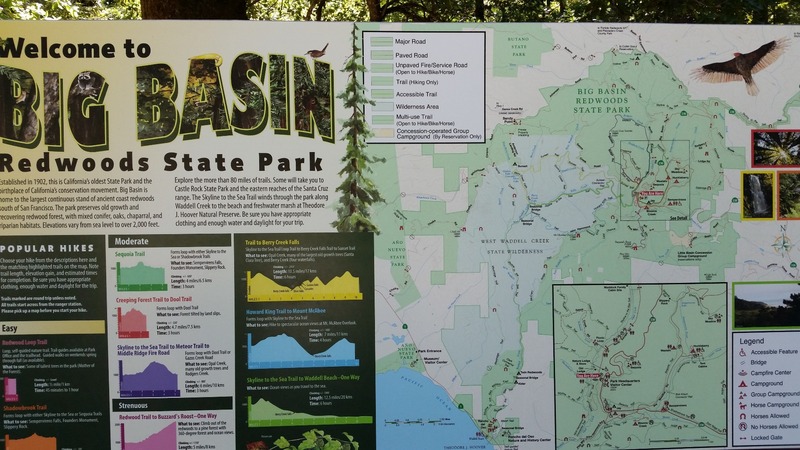 Preparation: Big Basin Redwoods State Park is a state park in the U.S. state of California, located in Santa Cruz County, about 36 km northwest of Santa Cruz. It's free. 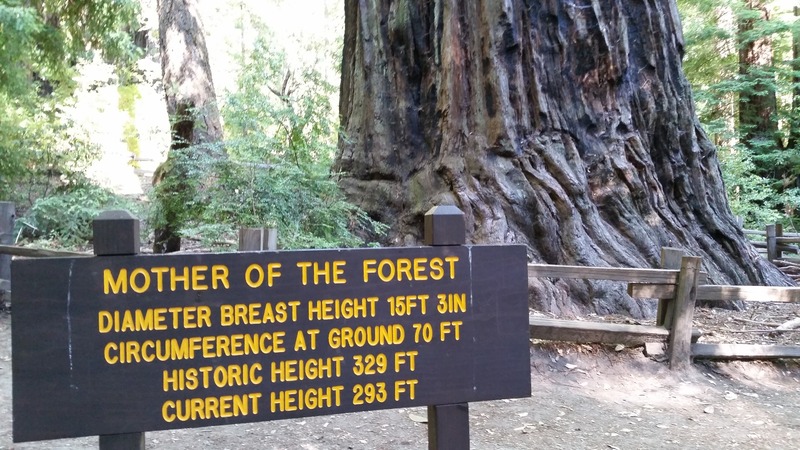 Address: 21600 Big Basin Way, Boulder Creek, CA 95006 Be careful when you're driving on the road of the mountain area. When we drove there, we felt like driving on a roller coaster. Be prepared for a couple of hours delay if it is in the weekend or other holidays. Not easy to find a parking spot in the weekend. $10 parking fee. It can be paid in the visitor center. Remember to take a brochure that has the map for this state park. 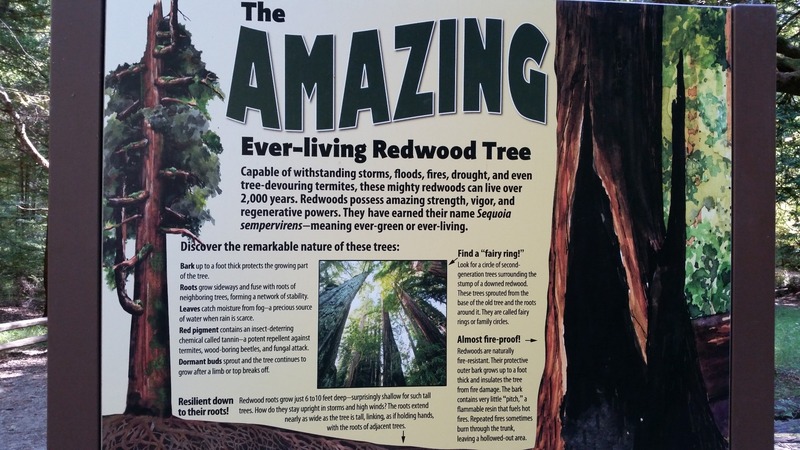 General opinion: The redwood is California's official state tree. Amazing! 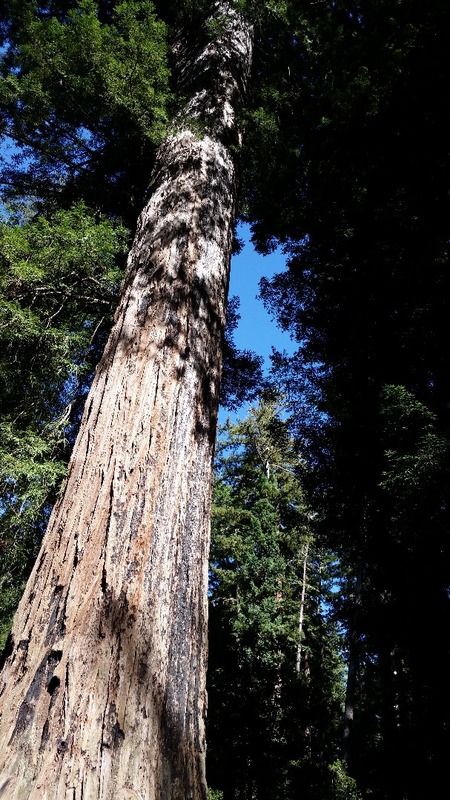 Big Basin's biggest attraction is a rare stand of awe-inspiring, ancient coast redwoods that are among the tallest and oldest trees on earth. Attractions and activities: Trails for hiking: The park has over 130 km (81 mi) of trails. 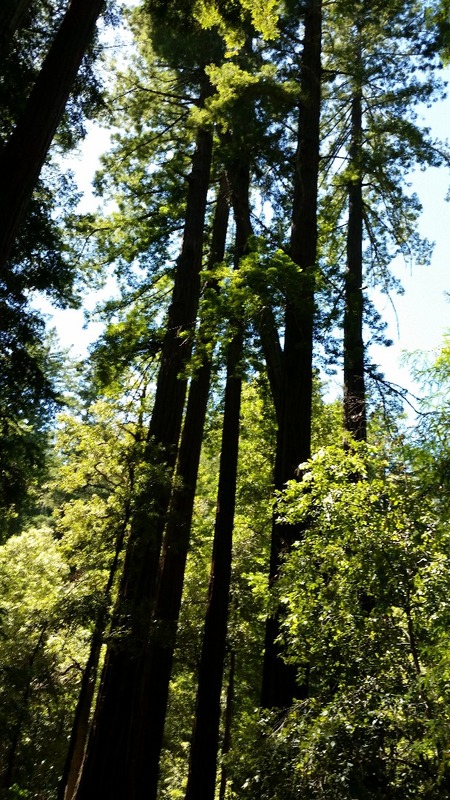 Red Woods Trail( loop Trail): The beautiful half mile loop trail is very close to the Visitor center and has most beautiful red wood trees. 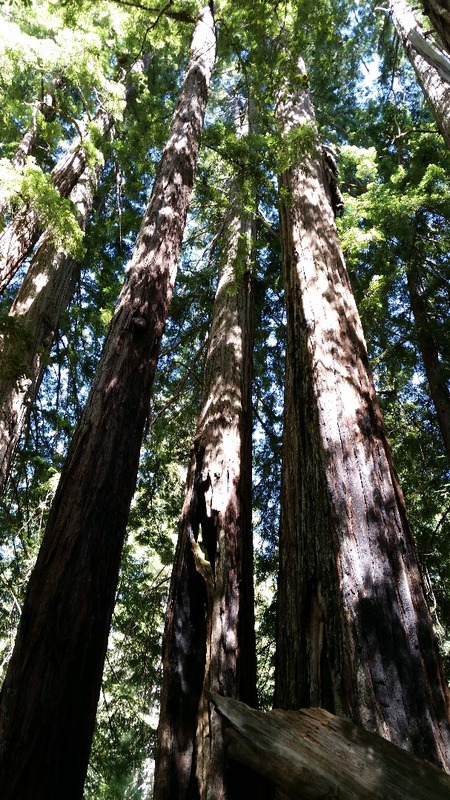 There are Mother and Father red wood trees around this trail. 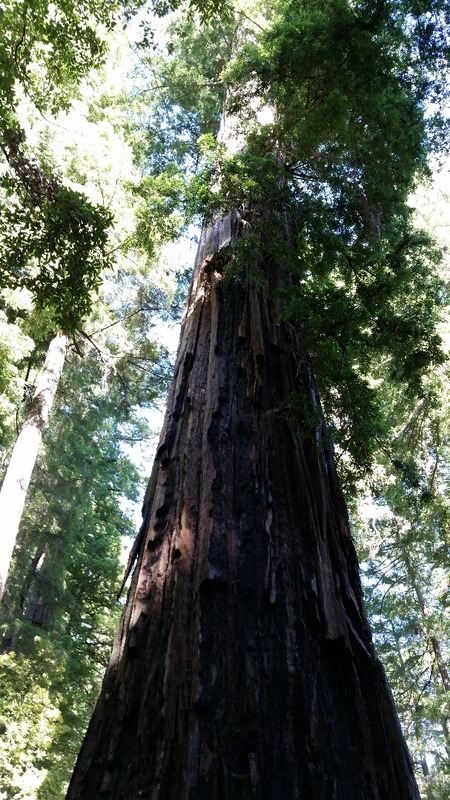 Some are more than 300 feet tall; Estimated age 1000 to 2500 years old. Dining: There are food stands or snack bars. Things I wish I had known before: If you can, go there early and you will get more time spending in the park in stead of the traffic jam.